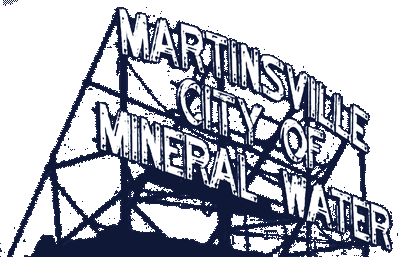 Fire Department equipment, including a safety trailer will be on display Thursday night on Jefferson Street in front of City Hall as Martinsville firefighters invite the public to Customer Appreciation Night from 6:00 – 8:00 p.m. According to Fire Chief Terry Anderson, firefighters will have fire trucks on display, demonstrate fire drills in their fire safety house and give away popcorn and fire safety material during Thursday’s event as part of the Fall Foliage Festival. Jefferson Street between Washington and Jackson Streets will be blocked that evening so fire equipment can be on display. The fire station at 160 West Morgan Street will be closed during Thursday night’s event. “In addition to the Fall Foliage Festival, this week also is Fire Prevention Week, so it’s a great time to help educate folks about important fire prevention tips. This year’s national theme is Every Second Counts, Plan Two Ways Out. Many folks are unaware that in a fire, you may have less than three minutes to escape your home. So, it’s critically important everyone in the family know what to do if there is a fire. “We have a Fire Safety Checklist for Homeowners and Renters that we are happy to provide to anyone who would like a copy. Among several important items in the checklist is the need to make an escape plan, including one that shows two ways out of every room in the house, establish a safe meeting place outside the home and make sure everyone in the house practices the escape plan twice a year. “Fire Prevention Week also is a great time to check the batteries in smoke detectors and replace detectors that are older than ten years. If anyone has questions about how to do either activity, please call us at 765- 342-2343 and we will be happy to assist you,” Anderson said.